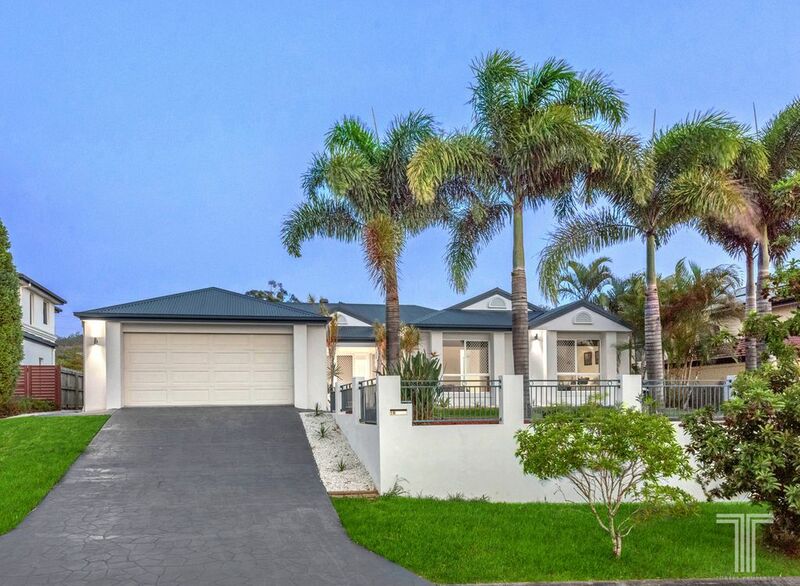 Neatly presented and framed by tropical palm trees and manicured gardens, this family home presents a wealth of living space and low maintenance design. 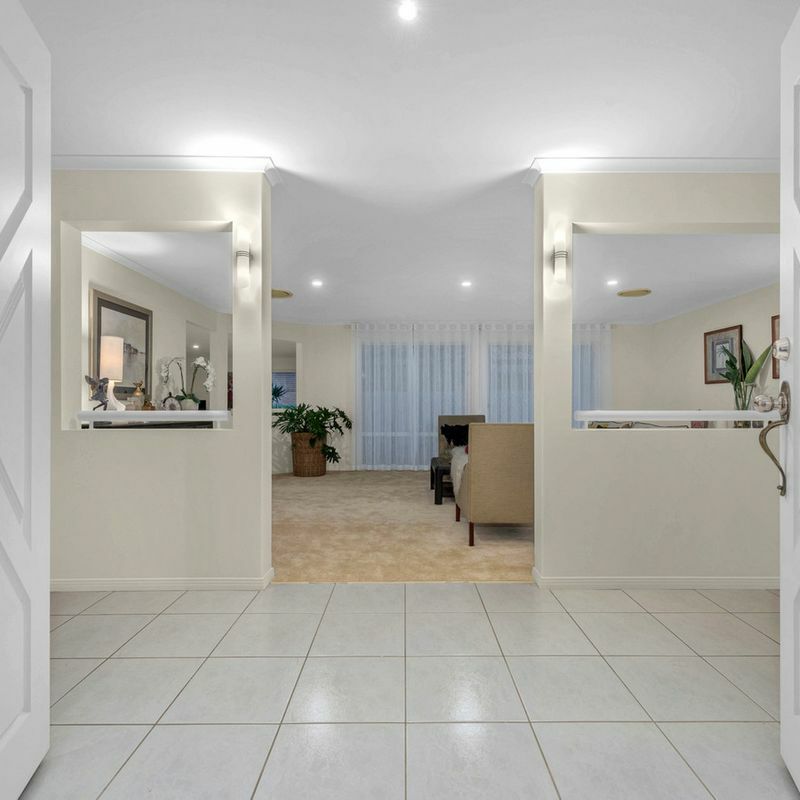 Entering inside beyond the wide front doors, this elevated residence features a welcoming family room and views to Mount Gravatt Lookout. 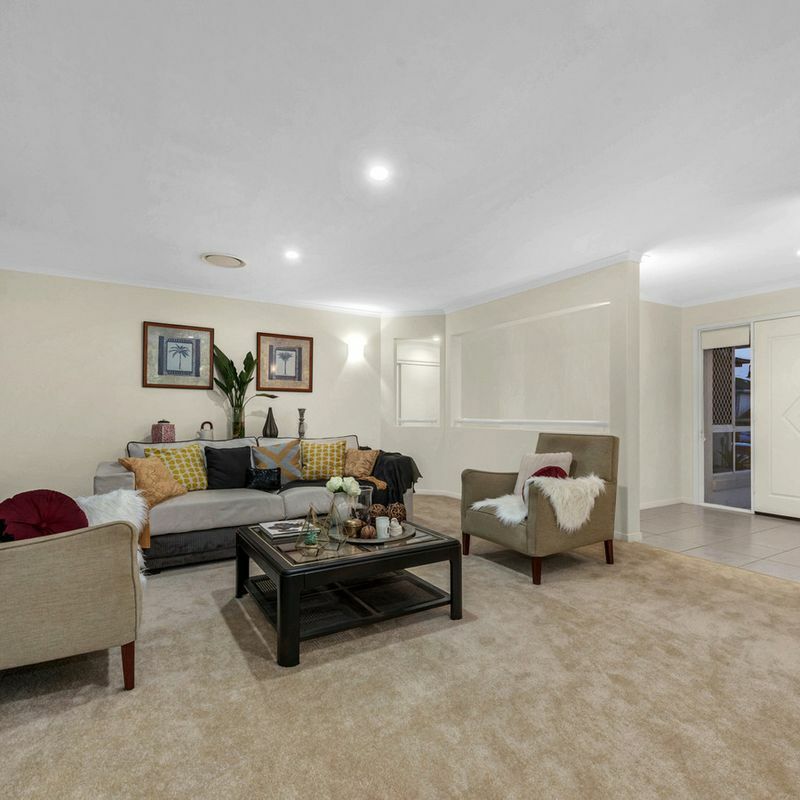 Boasting carpeted flooring and an abundance of space, this room can also serve as a formal lounge and dining area or deluxe media room. 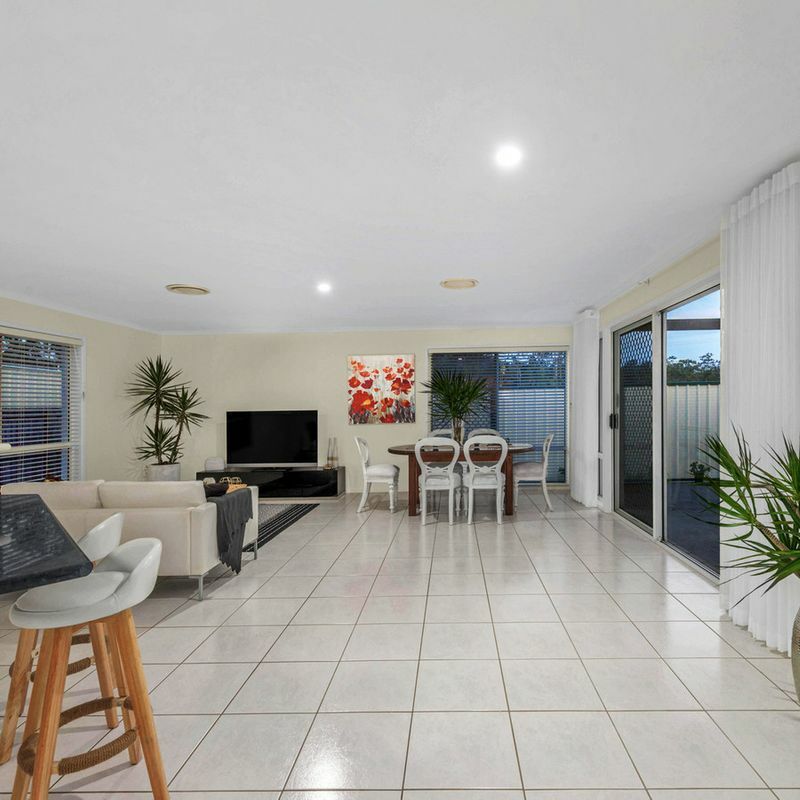 Open in design and perfect for everyday family life, the light filled lounge and dining area is adorned with low maintenance floors tiles and newly installed venetian blinds and curtains. 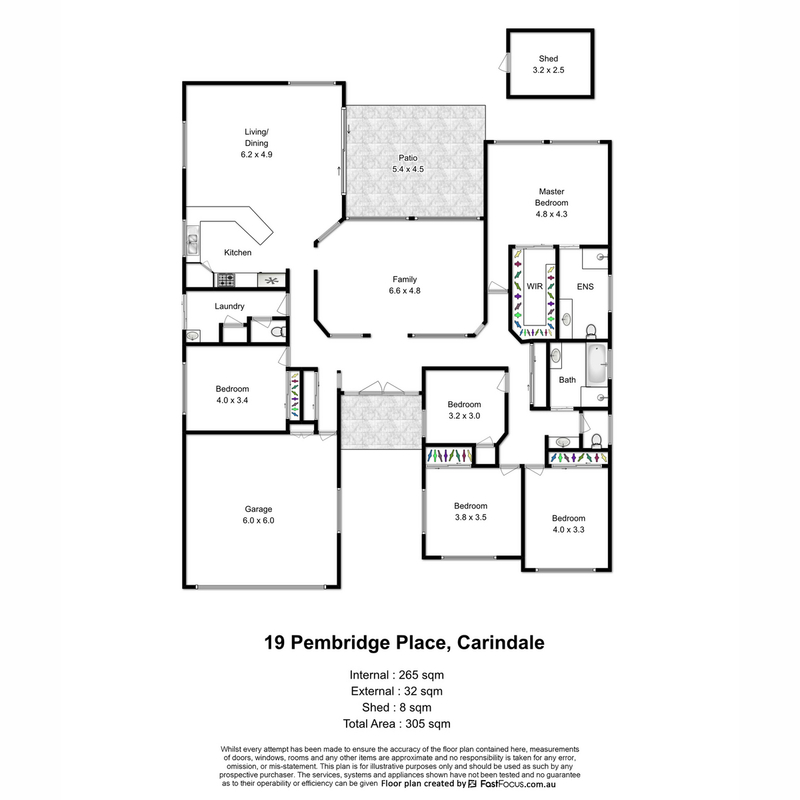 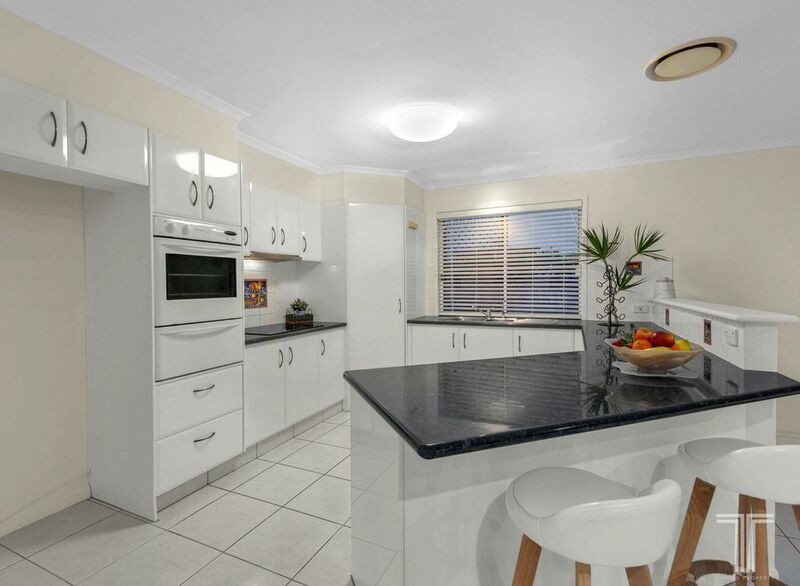 Adjoining the functional kitchen with black stone benchtops, breakfast bar, new dishwasher, plumbed fridge and new Omega cooktop, preparing meals will be a breeze. 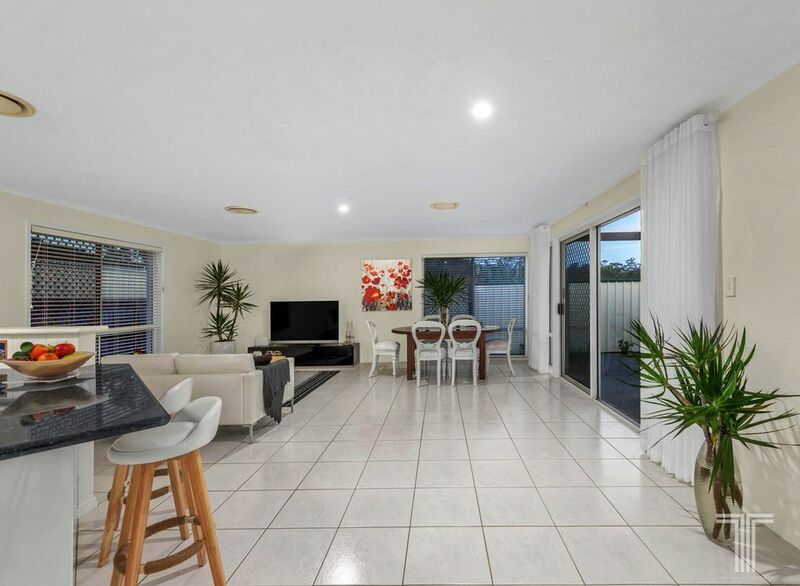 Extending out via sliding doors, this living space flows out to the private entertainer’s patio and easy care backyard, just perfect for hosting guests. 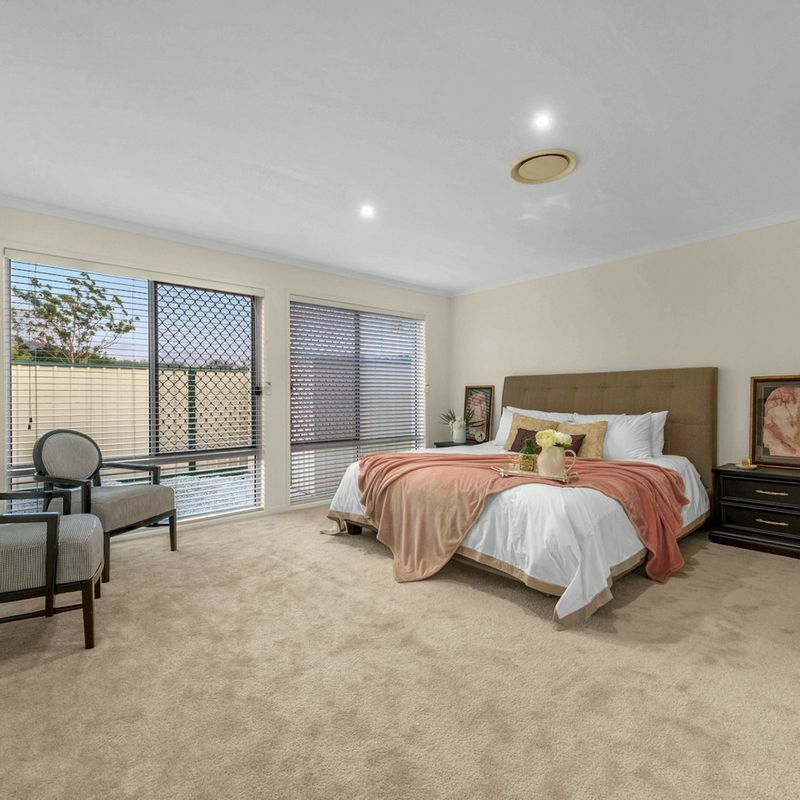 A lovely retreat, the master bedroom is generous in size and features carpeted flooring, walk-in robe and modern ensuite. 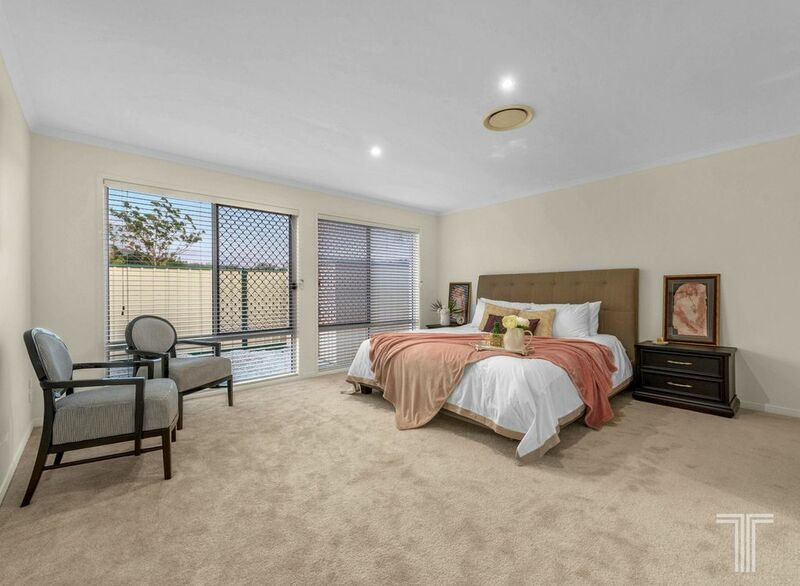 A further three bedrooms include two with built-in robes, while the fifth, soundproof bedroom is located in the opposite wing of the home, perfect for grandparents or guests. 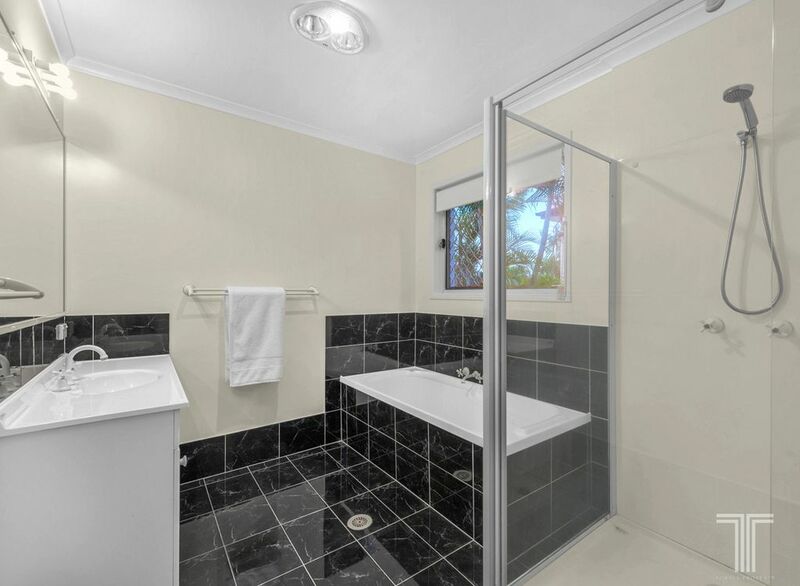 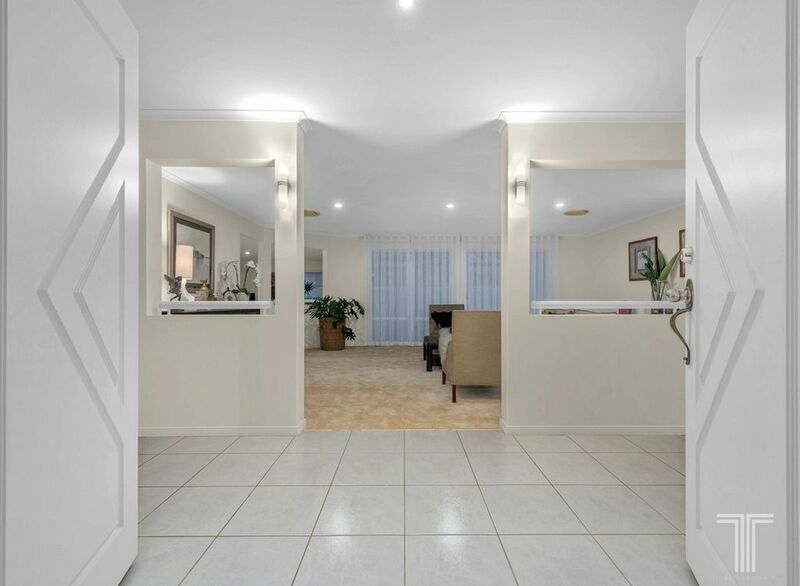 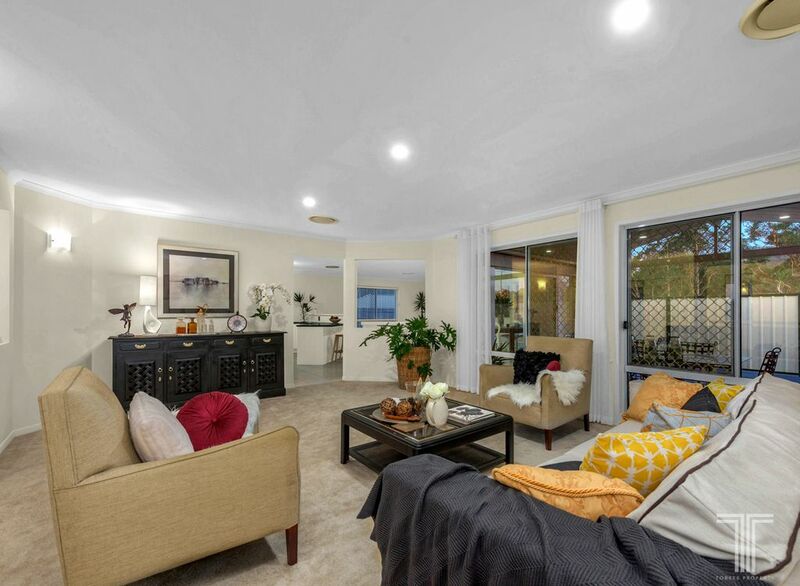 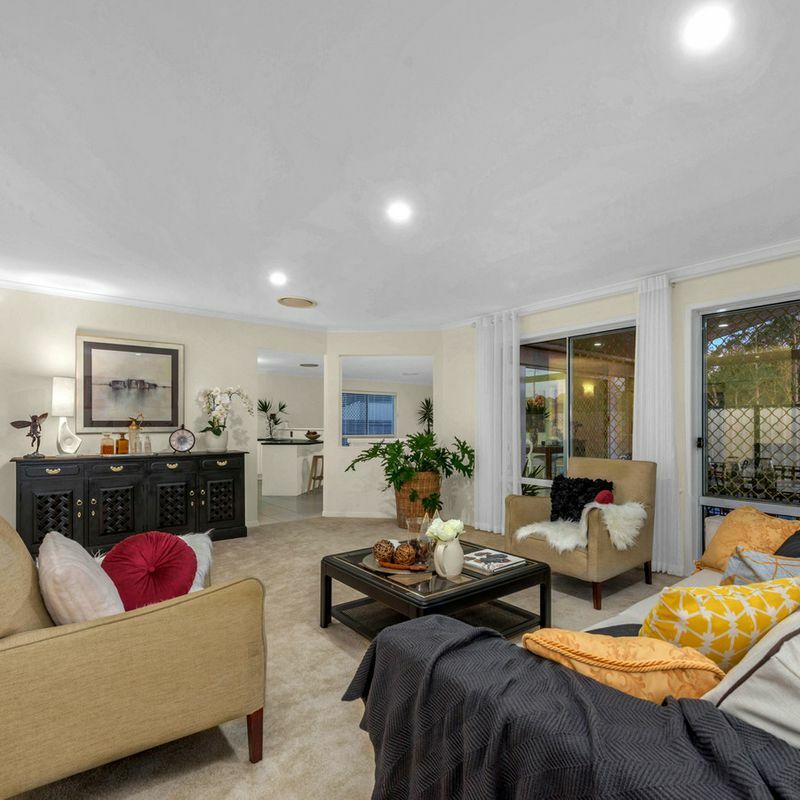 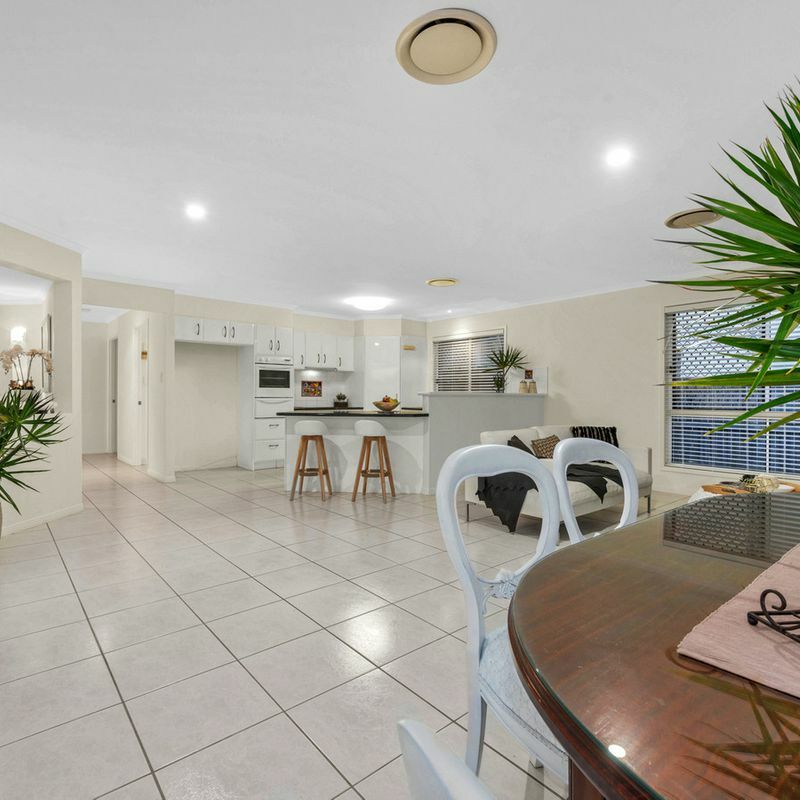 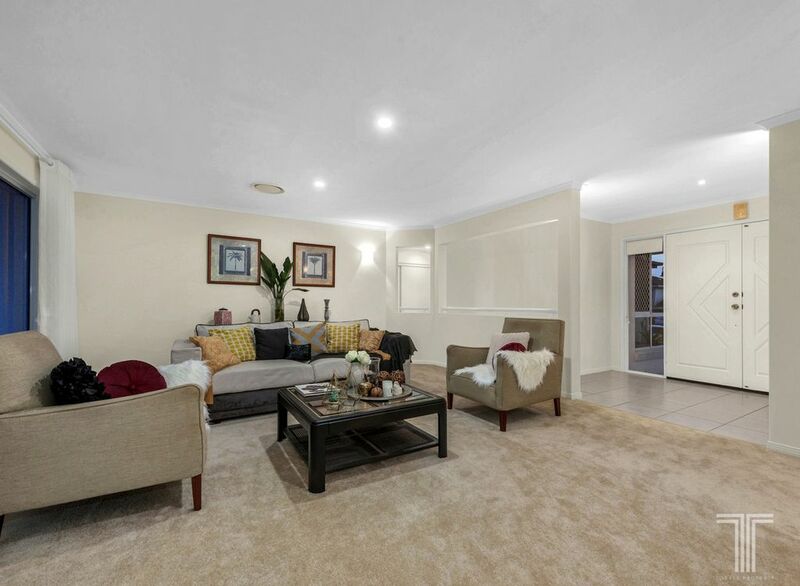 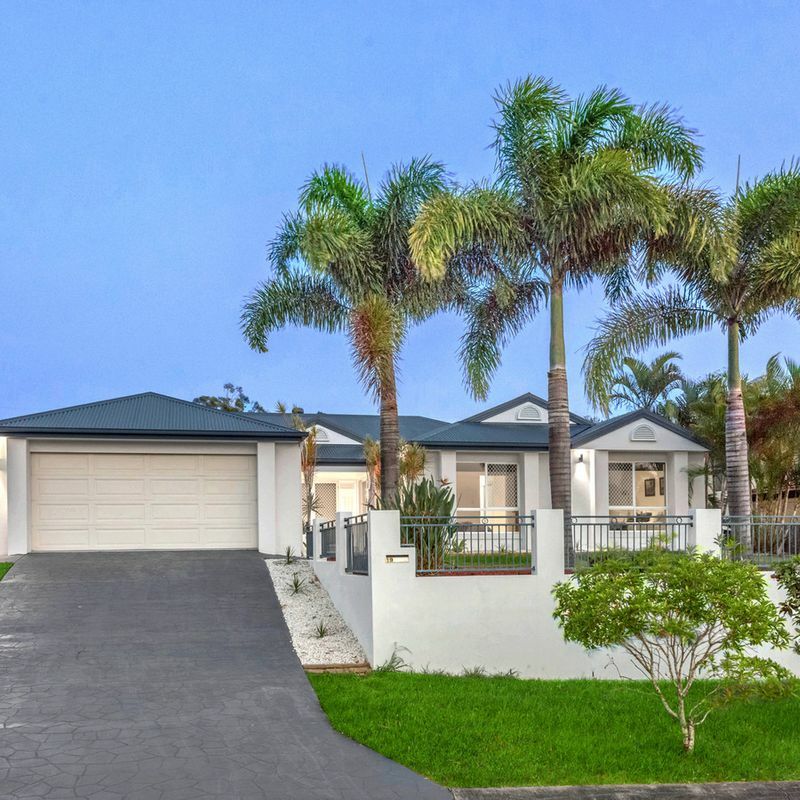 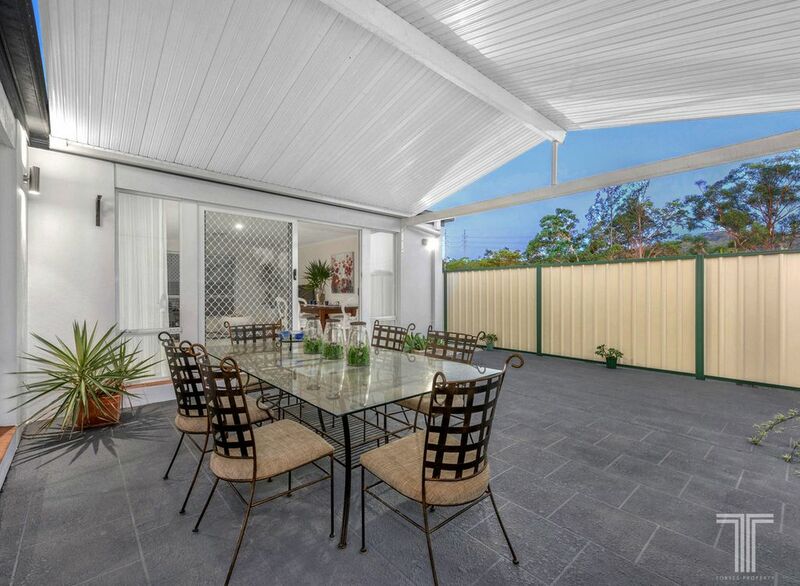 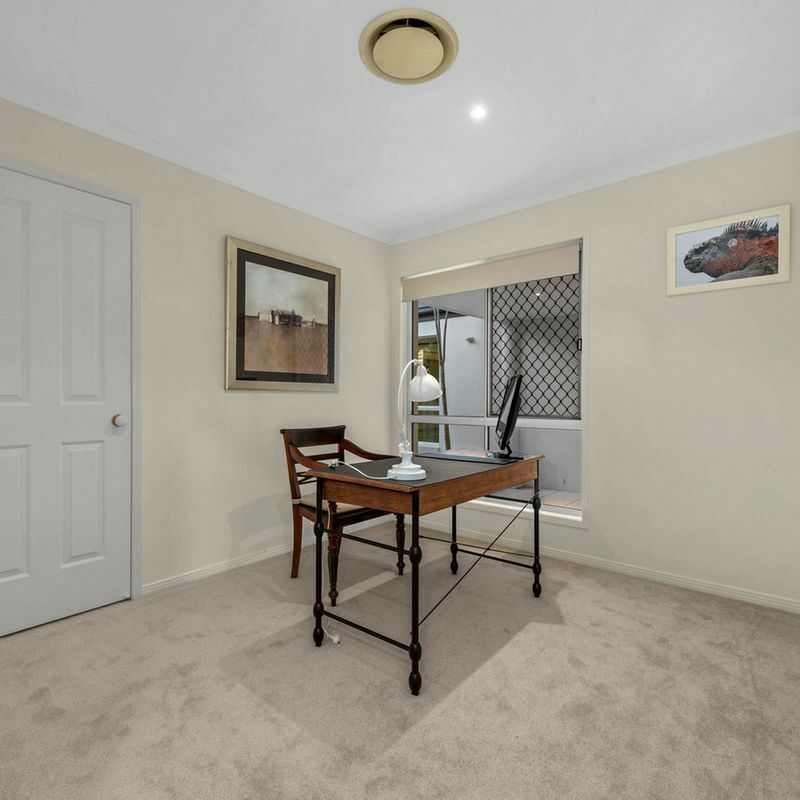 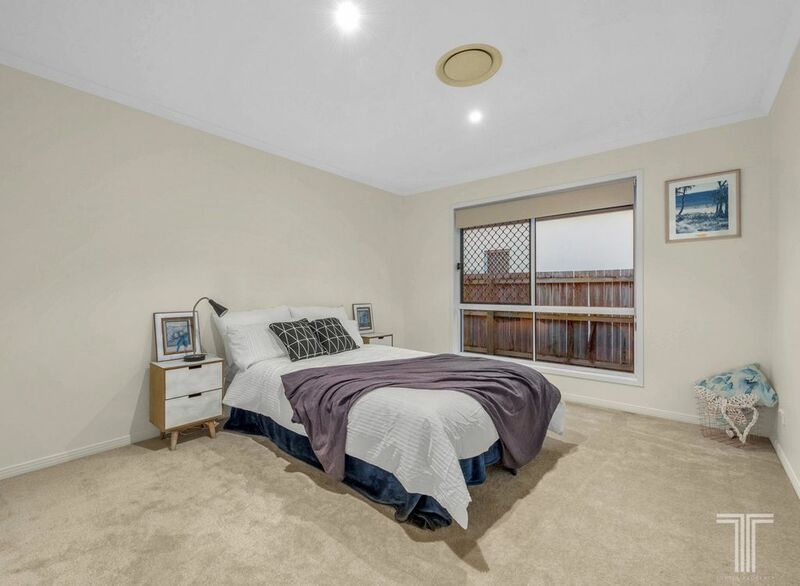 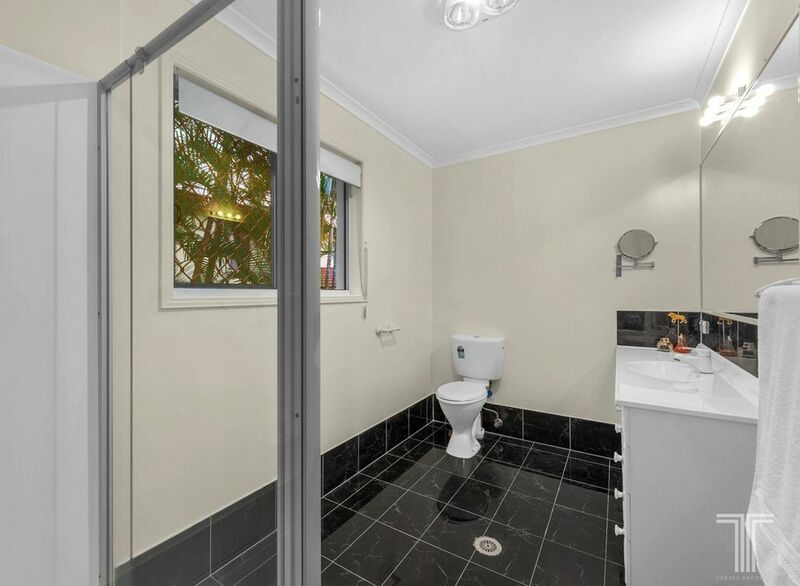 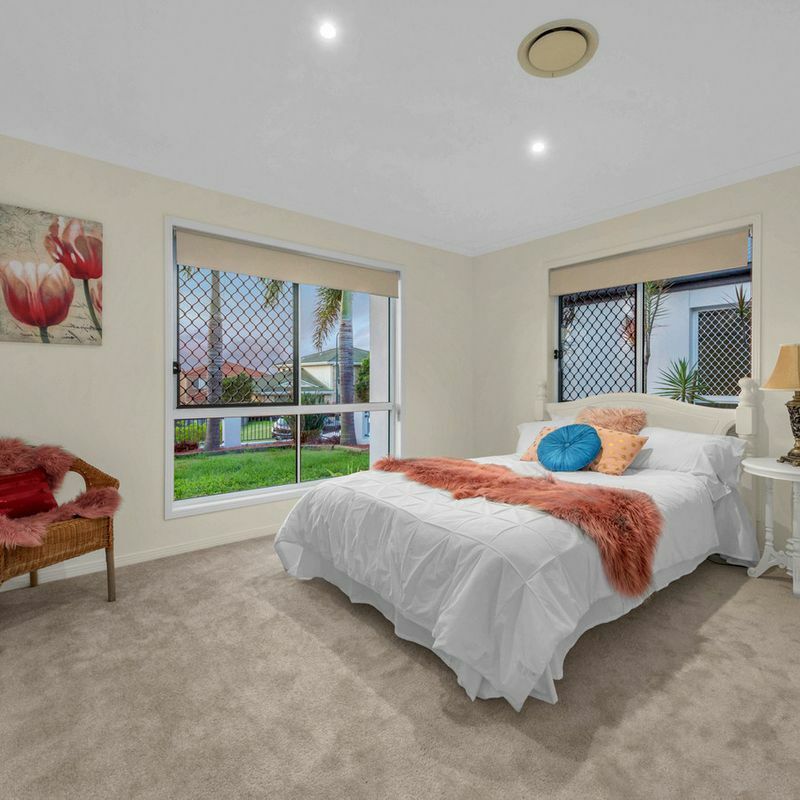 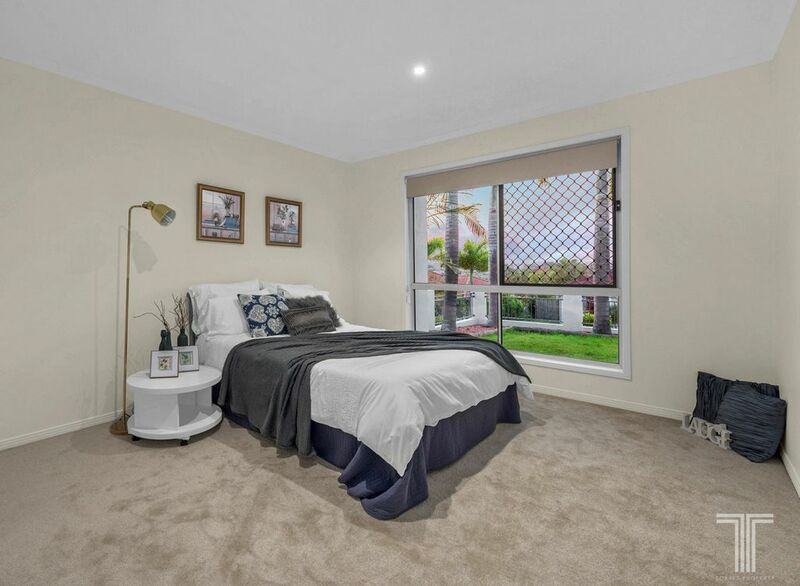 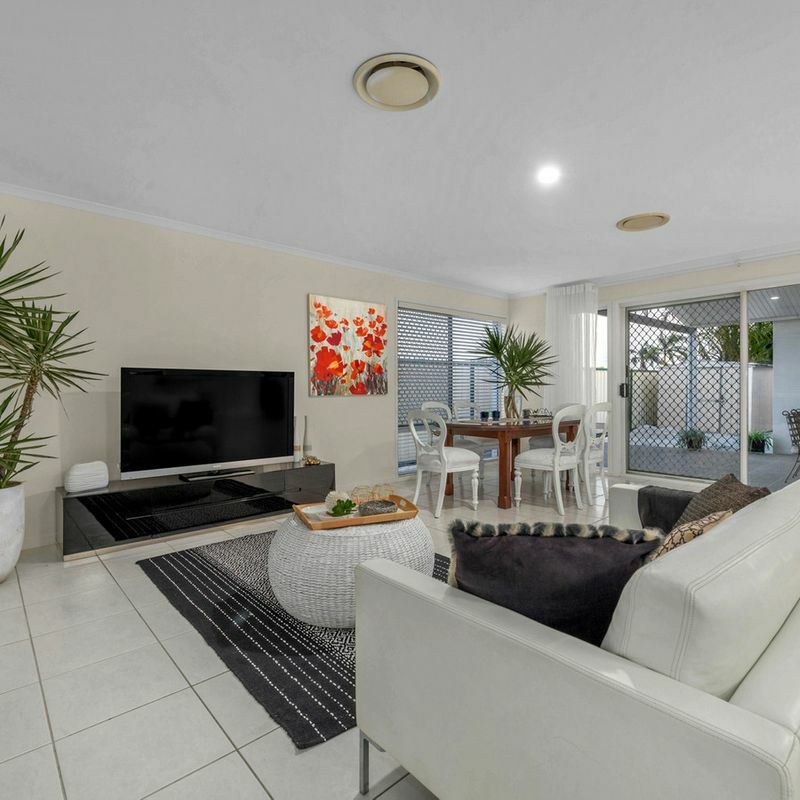 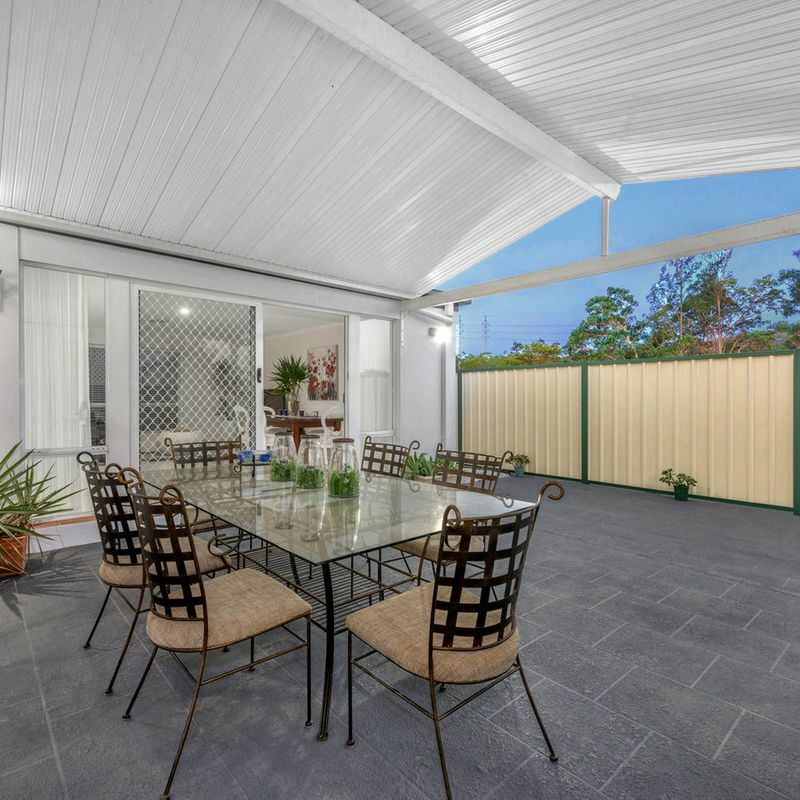 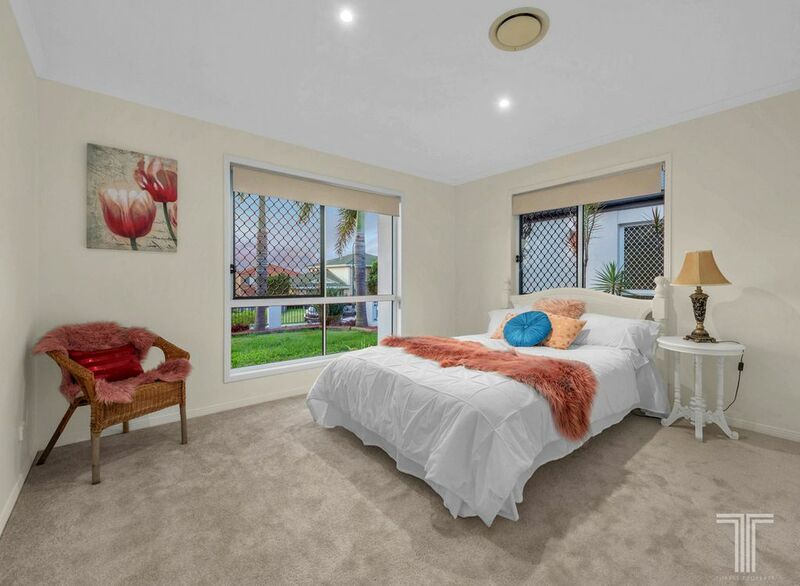 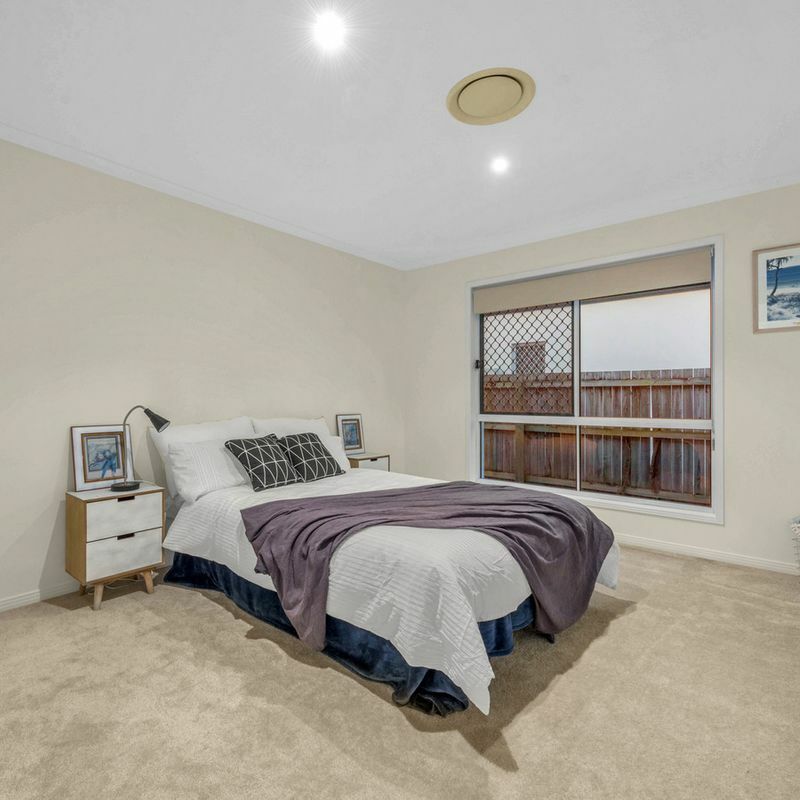 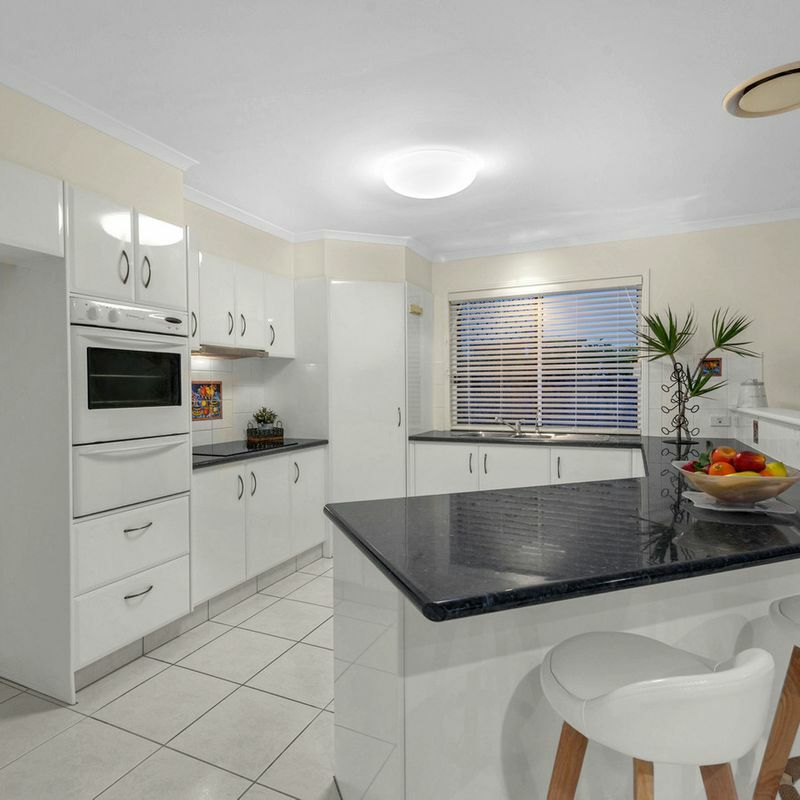 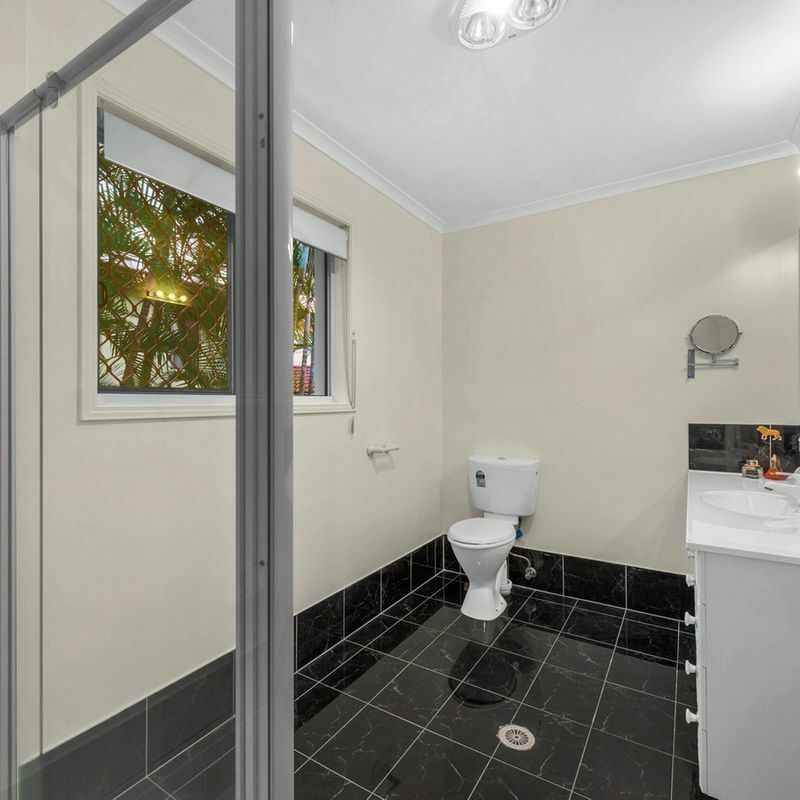 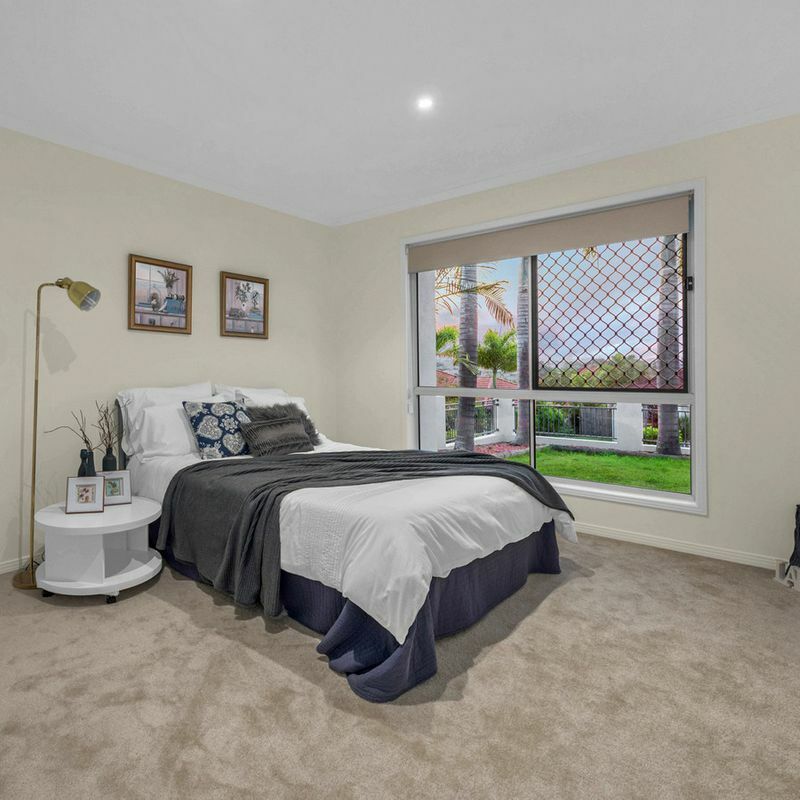 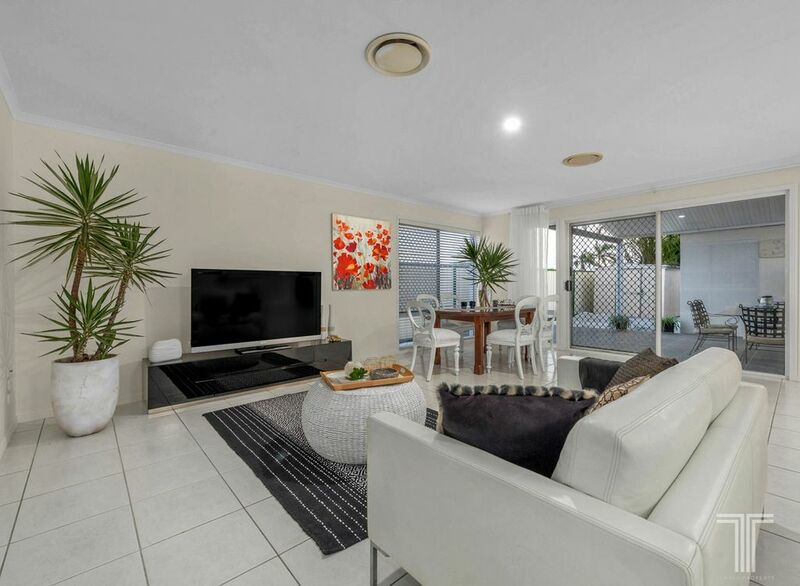 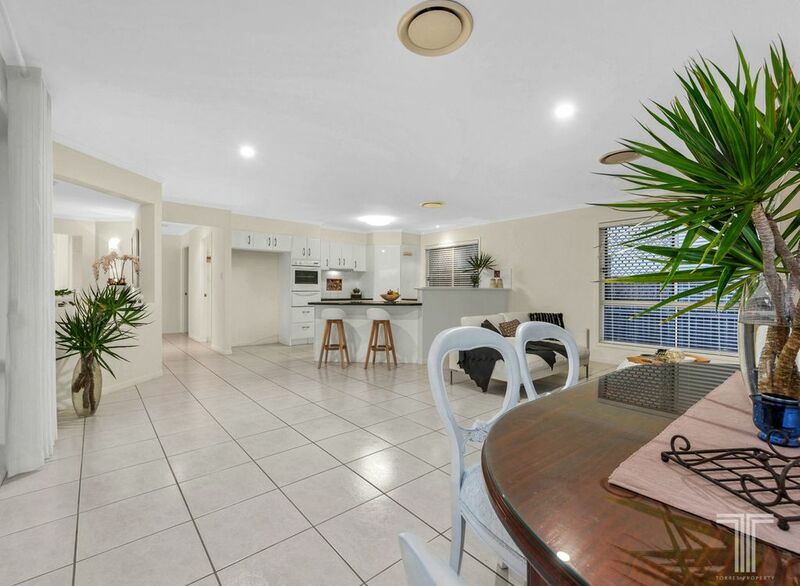 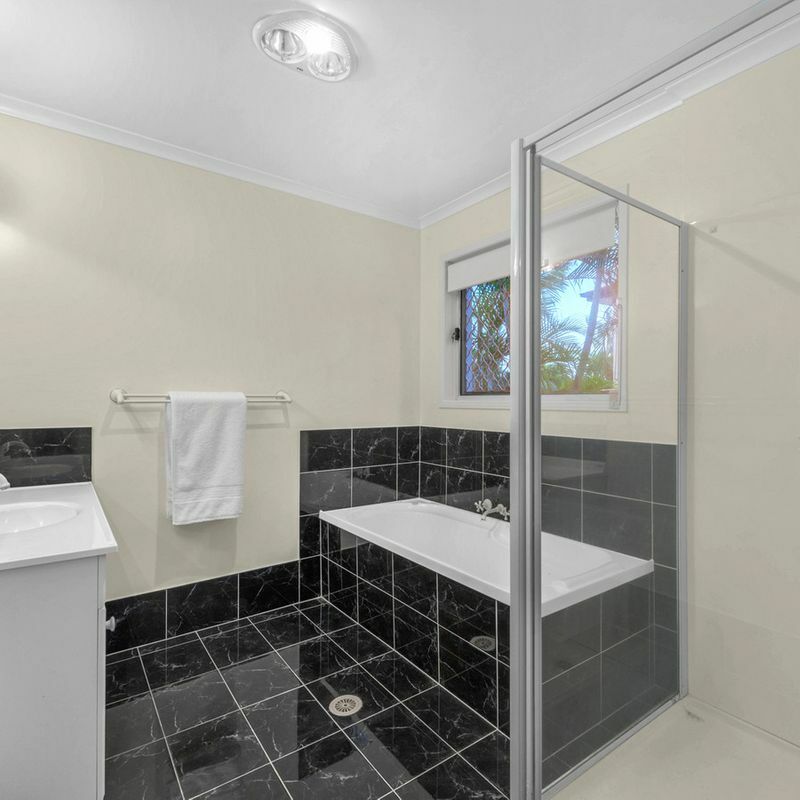 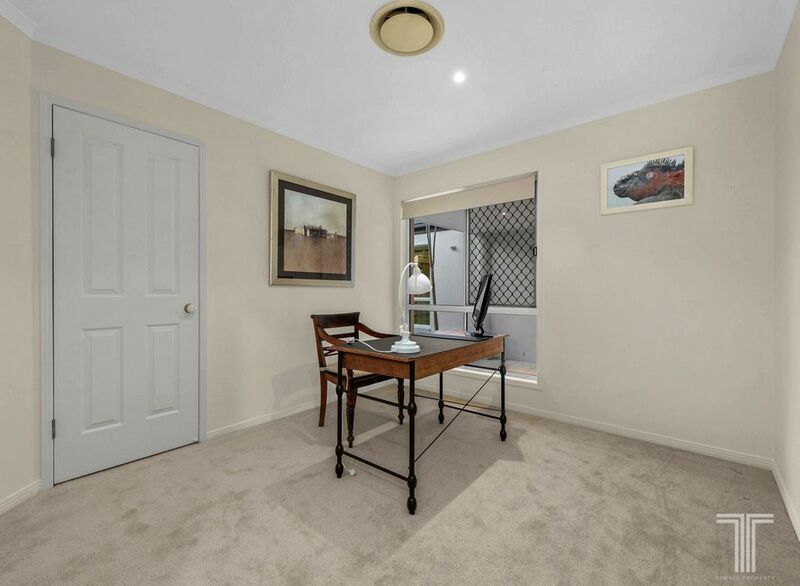 Located at the end of a small, family friendly cul-de-sac with no through traffic, surrounded by parkland and within walking distance to the 200 bus stop, this home is conveniently located close to Belmont State School, Citipointe College, Westfield Carindale, Pacific Golf Club and Gateway Motorway.